Zhongshan Laitu Photographic Equipment Co., Ltd was founded at the beginning of 2014. It is located in Zhongshan, beautiful Pearl River Delta area in China. Leofoto team has been designing and manufacturing series of camera support systems by comparing and studying the high-end photographic accessories made in China and abroad and combining different suggestions from professional photographers for over a decade. 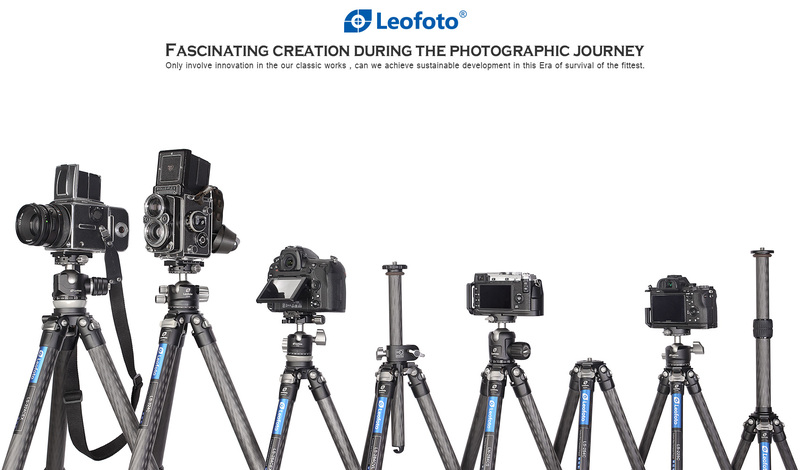 Leofoto has become China specialized photographic equipment producer in only 4 years. We are a young company with hi-tech equipment and creativity, for many years, we have been supplying the whole world with high quality professional tripods, ball heads and other support accessories. We have 1 assembly workshop with 4 assembling lines, 2 CNC machine centers（including 80sets of CNC precsion machines）, high and low temperature testers, corrosion resistance testers and other high-precision devices. We have more than 20 management employees and 130 dedicated workers. Current production capacities can yield quotas of 1000 tripods per day. Besides, our highly automated production lines enable us to supply the best quality products at competitive prices. Leofoto's high skilled management team ensures a solid compliance program, while maintaining the official trading standards. Leofoto's constant growth is due to our research & development team. They are the foundation stone of our business. At Leofoto, we always strive to provide the best quality products and service for photographers and videographers from all over the world..
Be dedicated and enthusiastic to meeting and leading user needs. We focus on photographic support system and will keep an eye on related industry, our mission is to help professional photographers to finish their works by supplying the most profession support systems. Meanwhile, we will combine our skills and customers’ needs perfectly and assist our clients in promoting our brand in channels, forums, fairs etc to achieve the best commercial values of our brand. We will always believe in our clients and thank them for their recognition and support.